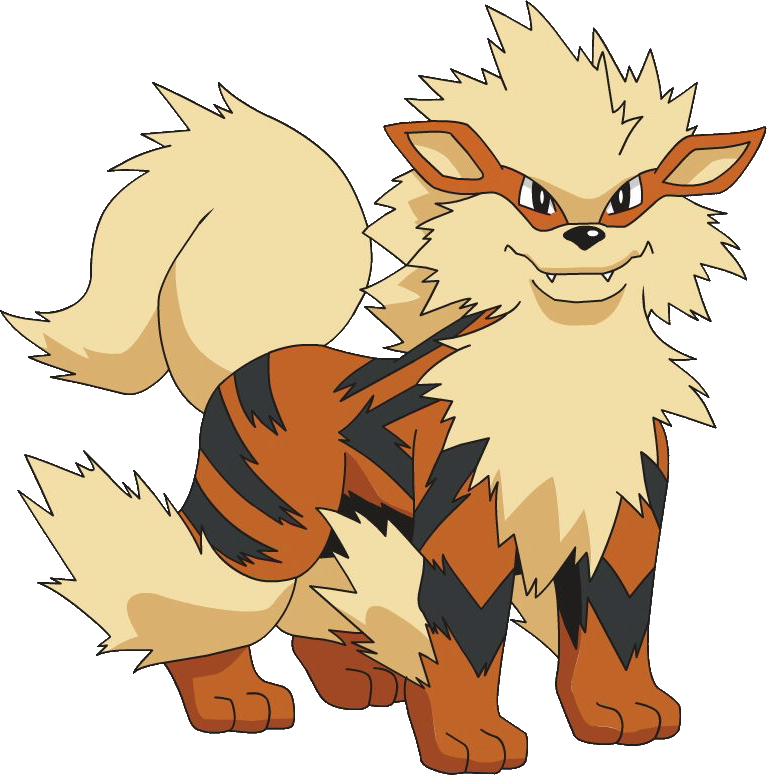 Arcanine is again one of the more real-life looking Pokemon, as it's basically just a dog with a perm. Allegedly, it can run 6000 miles in 24 hours...that's like 99 marathons. Yet somehow, Speed isn't Arcy's highest stat. Weird. That's not to say the 'canine's Speed is bad, because it isn't. It's solid, along with everything else. Attack is the highest, though, which of course does not take advantage of STAB. What a joke. And Arcanine is one of the few Pokemon who gets the low end of the "Special Split" in subsequent generations, when Special became Special Attack and Special Defense. Doing this list, I've noticed more Pokes than not have a Special Attack the same as their Special, but Arcanine actually gains 20 more Special Attack in Generation II and onward. So it IS, in fact, better the older it gets. Like a fine wine. Arcanine naturally knows a whopping four moves (all useless ones), and it learns three more as Growlithe before you evolve the Growler with the Fire Stone. Fortunately, TMs make it somewhat viable as an attacker. Flamethrower is a must to take advantage of that same type goodness. Reflect is solid, too, since Defense is Arcanine's worst stat and you can shore it up a lil' bit. Agility is also not a bad call to raise Arcanine's Speed against faster foes, and while it can learn both Dig and Dragon Rage, randomly, neither one of those are that good. But golly, you need to take advantage of that Attack at least a little bit, so Double-Edge or Hyper Beam is probably the way to go. Fun fact: If Arcanine gets attacked by a Hyper Beam or Flamethrower of its own, its hair does not get singed off. It's like a news anchor...just perfect coif.